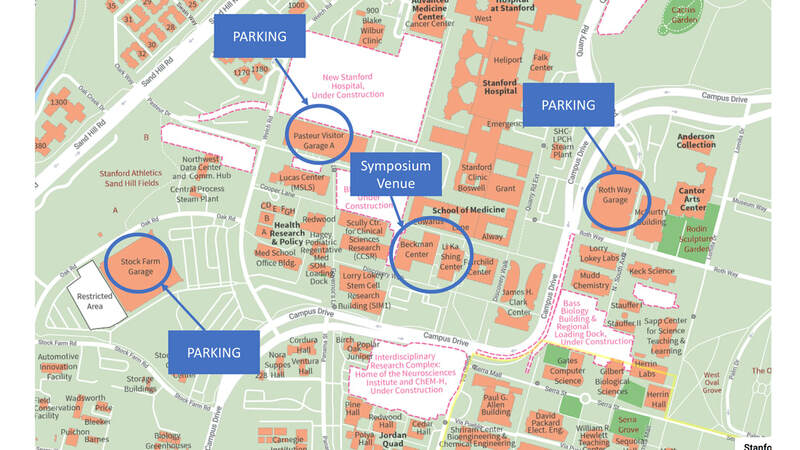 Majority of the conference will take place at LK102 on Saturday; workshop rooms will be assigned in different rooms in the same building, please check updated information on the schedule or conference booklet on the conference day. Exit at Embarcadero Road west. Follow Embarcadero Road to El Camino Real. At El Camino Real, Embarcadero Road turns into Galvez Street. Stay in the left lane and continue. At the stop sign, turn right onto Campus Drive East. Campus Drive East turns into Campus Drive West at Palm Drive. Continue. Upon Welch Road, turn right. Turn left onto Oak Road at the first intersection. Parking Structure 5 is on the left. Exit at Sand Hill Road east. Follow Sand Hill Road to Stock Farm Road. Turn right.